The weather outside is frightful, but your custom home theater system is more than delightful. Smart home automation and home theater systems have taken watching movies to a whole new level. Why watch your shows on your laptop in bed or on the couch with a bad sound system? Custom home theater systems give you the experience of being at the movies in the comfort of your own home. 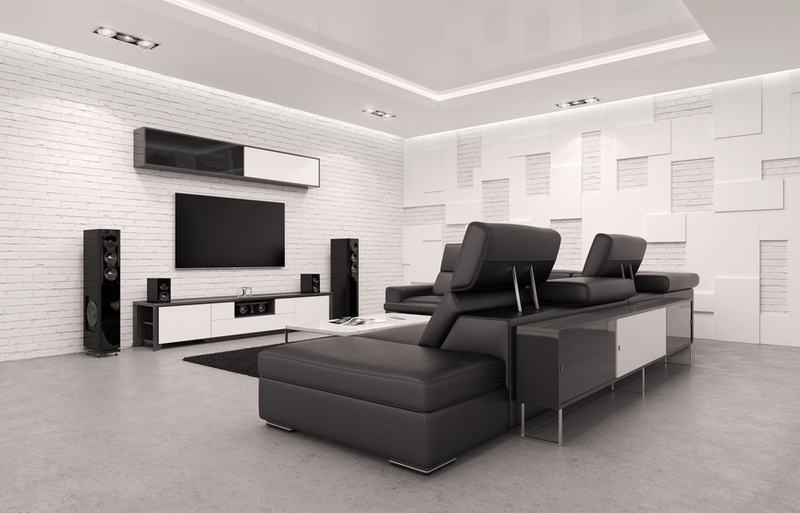 In fact, here are five features you can include in your own home theater system to get the most out of your smart home experience. Speakers. Your speakers are the backbone of your home theater system. The speakers are what give you top-notch audio for that true at-the-movies experience. What's more, you can find speakers to meet every need whether you want your speakers on display or you prefer them to be completely hidden. Sound bars. Sound bars are a great alternative to the traditional surround sound setup, especially if your home theater is in a smaller space. Lighting control. You don't necessarily need a smart home automation system when you're setting up a home theater. But that doesn't mean it can't improve your home theater experience. Lighting control systems give you the ability to set the mood whether you're watching a romantic movie on date night or indulging in your favorite crime shows. Home theater screens. If you don't have a home theater screen, do you really have a home theater? You can install fixed placement screens, hidden screens, or roll-up screens so you can make the most out of your home theater and the surrounding space. Home theater projectors. You can choose to install a large scale projector in your home theater for higher quality images than the average television can offer. Large scale projectors also give you a more flexible viewing experience because they're capable of changing the location and size of the projection. In 2015, there are approximately 4.6 million smart homes in the U.S. and that number is growing all the time. In fact, 41% of U.S. households had a home theater system as of just July 2016. If you're interested in incorporating smart home automation into a home theater system, AV Experience is the place for you. To learn more about our home theater systems or smart home automation installations, contact AV Experience today.